Dragon Design Foundation is China&apos;s first design foundation initiate by Lu Yongxiang, vice chairman of the Standing Committee of the 11th National People&apos;s Congress, former President of the Chinese Academy of Sciences. The purpose is: to support the growth of design talent to promotethe development of the design industry; commitment to the pursuit of harmony and symbiosis between human and nature. Dragon Design Foundation has been committed to search for new means and methods to maintain environmental balance and innovative design development for more than ten years. Facing the national design talents and professional institutions to carry out numerous charity awards, including “Dragon Design Award”” Selection of China&apos;s top ten outstanding youth in the design industry “,”Selection of Chinese Design Contribution Award”, “Selection of Dragon Star” and so on, organizing and holding " China Design Festival “,”China Design Forum "," China Design Development Annual Conference "," World Green Design Forum "and other professional activities. In the aspects of design of industry-university- research cooperation, transformation of scientific and technological achievements, construction of local design innovation base, international design exchanges and so on, DDF actively expands the new public welfare path. Under the mission of participating in promoting the "national design innovation strategy", DDF admonishes advices and suggestions in a variety of ways to help the Chinese design industry to flourish with mobilizing all sectors of society. Dragon Design Innovation Award (referred to as: Dragon Design Award) has been set up for "to support the growth of design talent to promotethe development of the design industry" since 2005. In 2011 the award has been officially approved by the National Science and Technology Award Office as a national award in recognition of Chinese design talents (code 0223). To achieve the great rejuvenation of the Chinese nation&apos;s future generations, thousands of Chinese designers move forward with overcoming difficulties and taking up the heavy responsibility. So far Dragon Design Award has been held for 14 years, with selection and recognition 140 talents of "China&apos;s top ten outstanding youth in the design industry,” awarding 158 Chinese Design Contribution Awards. The number of candidates exceeded 1,0000. Talents can achieve greater goals and make their career ideal. Design light up the country. The development concept of "innovation, coordination, green, openness, sharing" will add new glory to and open a new journey for China Design. 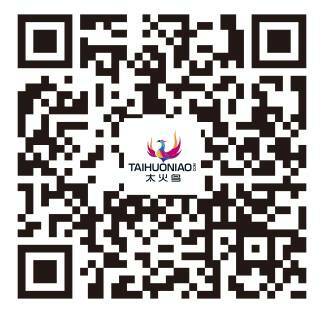 Copyright © 2015 Taihuoniao.com 版权所有.All rights reserved.